Christmas is the perfect occasion to show off the most unusual and gorgeous hairstyles for Christmas parties. We can have a wide range of beauty options from using full lace wigs, hair extensions to lace front wigs. Especially, being women, most of us have a “hidden” desire to appear beautiful and attractive at wherever we go. Thus, the hair is one of the powerful “weapons” to help us women score points in the eyes of our loved ones. In this article, we have come up with several most impressive hairstyles that have been selected from a variety of styles. The ultimate guide to an unforgettable Christmas party is right in front of your eyes! This is one of the hairstyles for Christmas parties that seem to be quite familiar to the women. 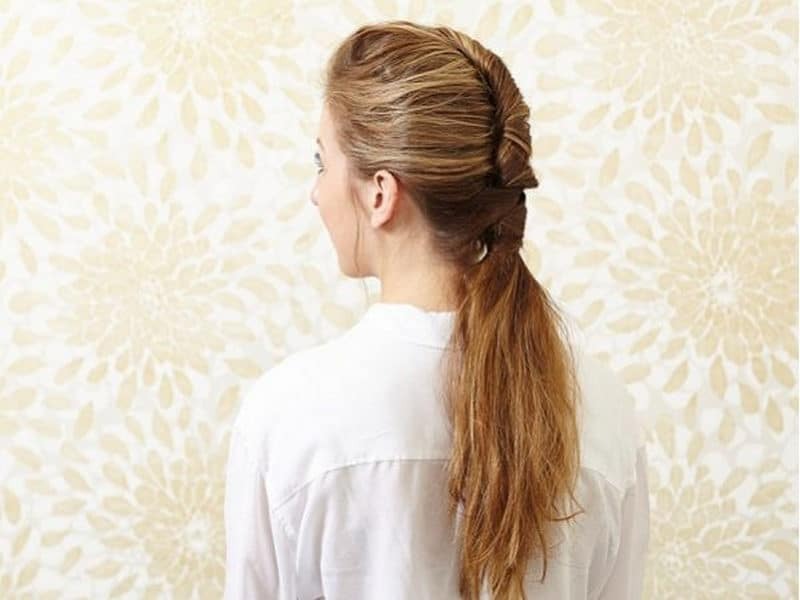 They love this hairstyle because of the simple way it is made but still brings out soft and pure femininity. Do not think that a complicated hairstyle will impress our beloved ones most because the simple thing may bring unexpected results. Thus, be confident in purposefully wearing natural low plaid hair because it gives out a sense of irresistible wildness and charm in any women. Who said short hair is no match for the festive season? French-styled wavy hair is an excellent choice for short-haired women with simple operation. All we need is two simple tools – a comb and a toothpick – to help you fix your hair after twisting. In less than 5 minutes, an elegant but striking hairstyle for this Christmas comes into life! A queen needs her crown, right? 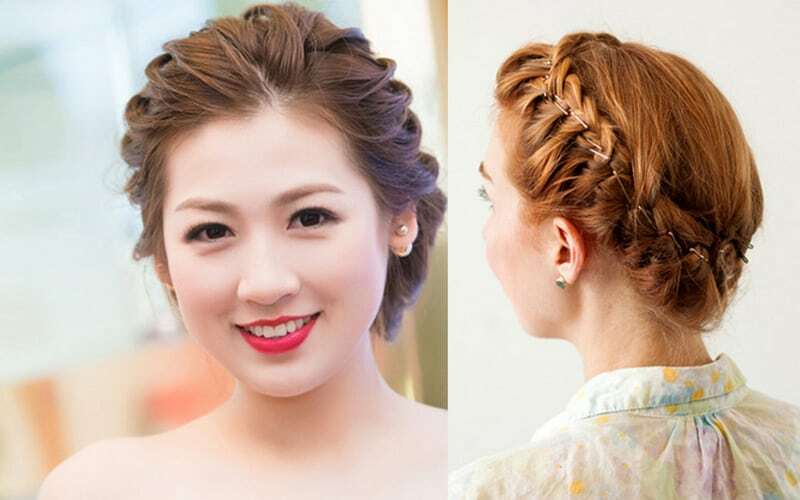 To have a gorgeous crown-shaped braided hair, divide the hair into two parts. Next, start braiding the hair until reaching the end and hold it with a plastic band. Afterwards, gently pull the strands of hair over the braids to create a natural tangle, then squeeze the two twists across each other and far from the forehead by 2-3 cm and fix it with a hairclip. Following these simple steps, women can be confident in becoming the most beautiful queen in Christmas parties. 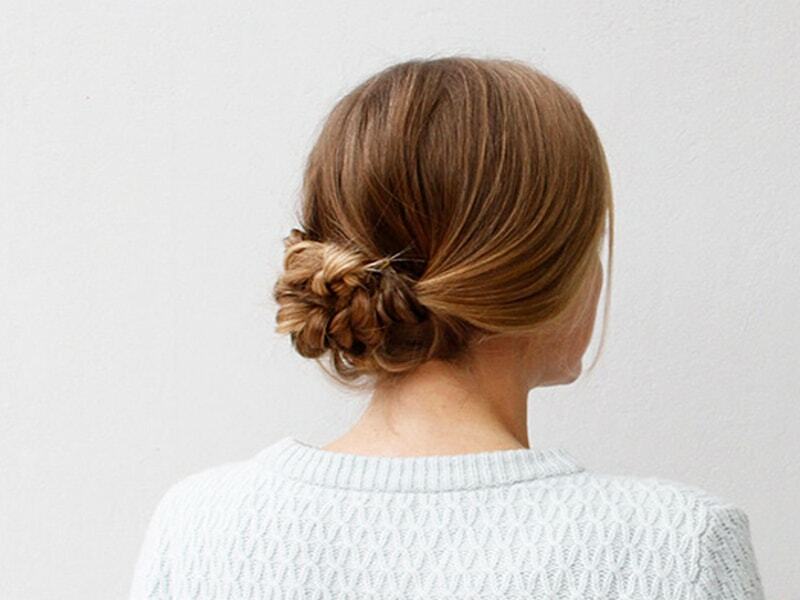 Pure natural, super simple hairstyle but still giving off a glamorous, feminine look, wavy hairstyle with heavy locks will be a great choice for women at the Christmas parties. Besides, with this hairstyle for Christmas parties, there is no need to add any accessories to have an outstanding look among the crowd. In addition to the hairstyles for the Christmas season, from simple to complicated, to help women impress their loved ones, the hair color is also one of the factors that refresh their appearance at Christmas parties. Changing the color of the hair contributes to creating a dynamic, energetic and attractive look for women. Thus, do not hesitate to get out of the “comfort zone” for once to blow a new spirit into your appearance. 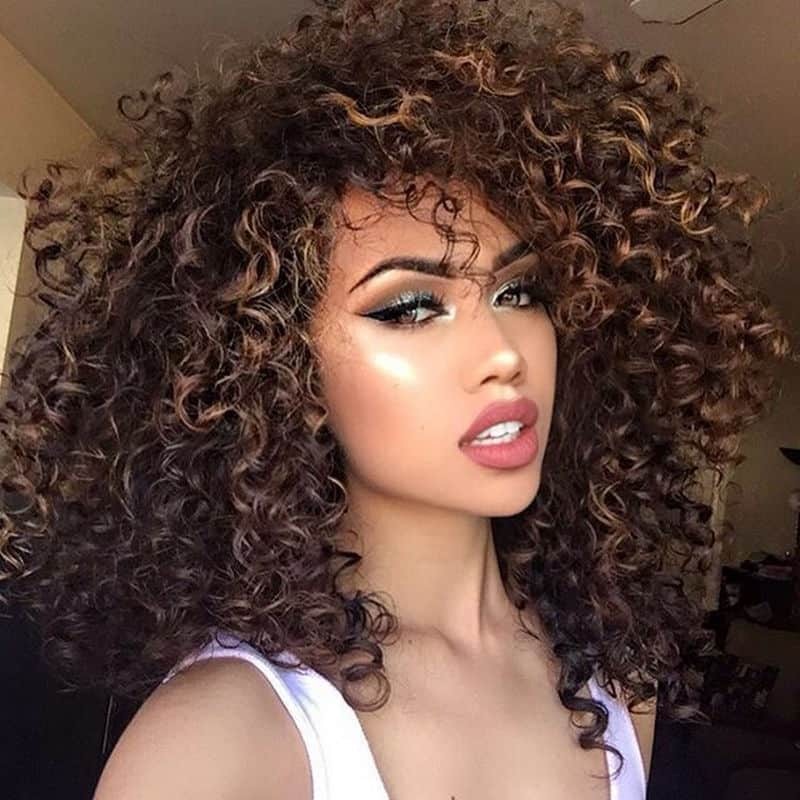 Full lace wigs and frontal lace wigs are on the top list of women when it comes to creating unforgettable hairstyles for Christmas parties. Both of the two types of wigs provide wearers with a natural hairline and an authentic look like real hair. Also, hair wigs are easy to style as well as convenient to change and adapt to hairdressing tools and chemicals. If women do not want to damage their hair after an exciting Christmas night, hair wigs should be taken into consideration. Feeling frustrated for not having their favorite hairstyles for Christmas parties because of hair length? Hair extensions will become a “lifesaver” because of its flexibility and convenience. Hair extensions will help the real hair not only take a rest but also is possible to style during that resting period. Besides, what if one day girls decide to change their style with short hair and dye a strange color that does not suit their face? The answer in this situation is hair extensions, giving women a long and nature-look hair. Instead of waiting for the hair to grow longer, hair extensions are “emergency” savers for owning a brilliant hairstyle for last year parties. When wearing a wool hat for the jubilantly festive holiday, women do not necessarily have to tie themselves in the typical colors of Christmas like red and green. They can choose other youthful and cheerful colors to stand at parties. Other pretty hair accessories, including hairpin, headband, ribbon and so on, in different shapes and colors of Christmas, promise to be a perfect addition to the gorgeous hairstyles. Hopefully, with the suggestions above, ladies will easily choose suitable hairstyles for Christmas parties that enhance their face and skin. Moreover, the right hairstyle with the right accessory will help women become confident and stand out among the crowd at any parties they go to. For more useful beauty tips, please share and follow our website to receive fashionable updates.